The process is quite simple and requires only a 21mm ring spanner and a good flat blade screwdriver. 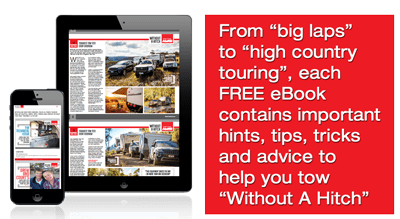 Ball couplings are by far the most common form of hitch used to connect trailers to their tow vehicles , and everyone using a trailer would be familiar with the very basic routine of hitching up their trailer with such a piece of equipment. But it is not always understood how such couplings should be adjusted to suit the ball, and the simple need to occasionally check that coupling’s adjustment. If you are fitting a new ball you will need to adjust your ball coupling, and as it wears you will also have to adjust to accommodate that wear. The loss of the chrome coating off the ball will require an adjustment. 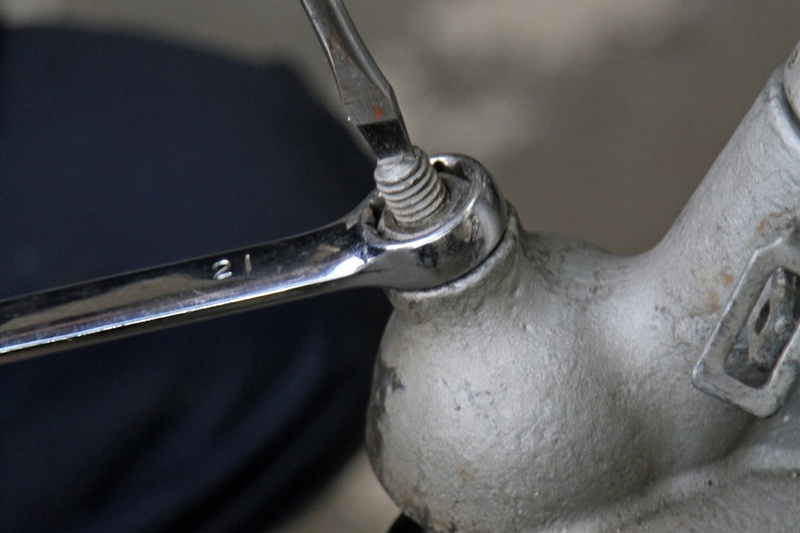 It is for these reasons that it is highly recommended that the couplings and balls have a coating of grease or similar lubricant, to reduce that wear. Note: The adjuster screw on an AL-KO tow ball coupling is designed to minimise the design clearance of the tow ball within the coupling socket. 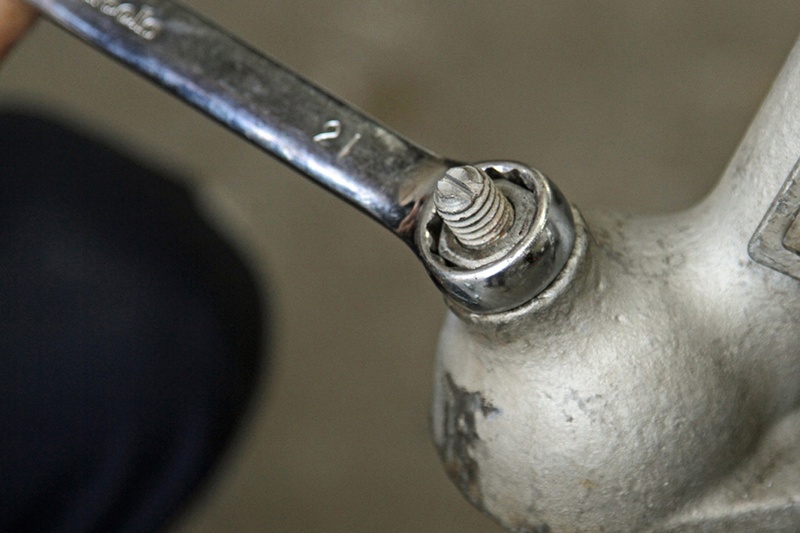 The adjuster is not designed to compensate for a tow ball that is under size. Careful attention should be paid to the ball size in the case of excessive wear. 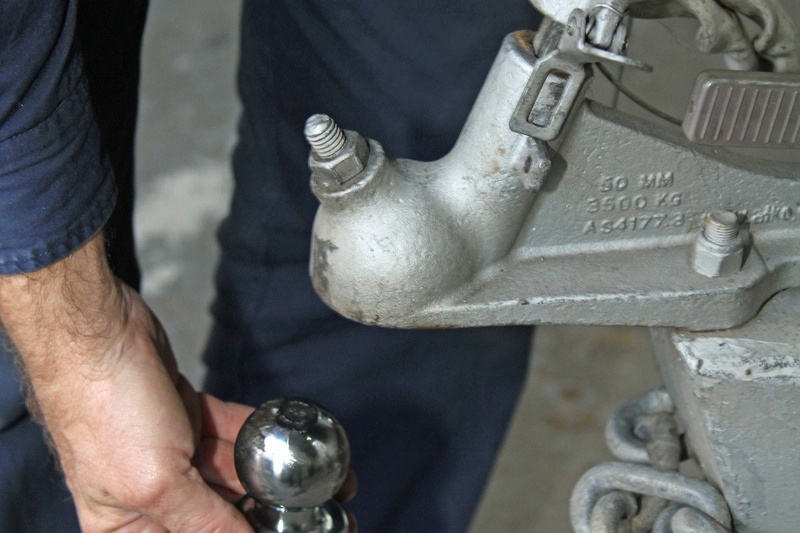 In order to adjust the ball adjustment screw, the coupling must be first fitted to the tow ball. 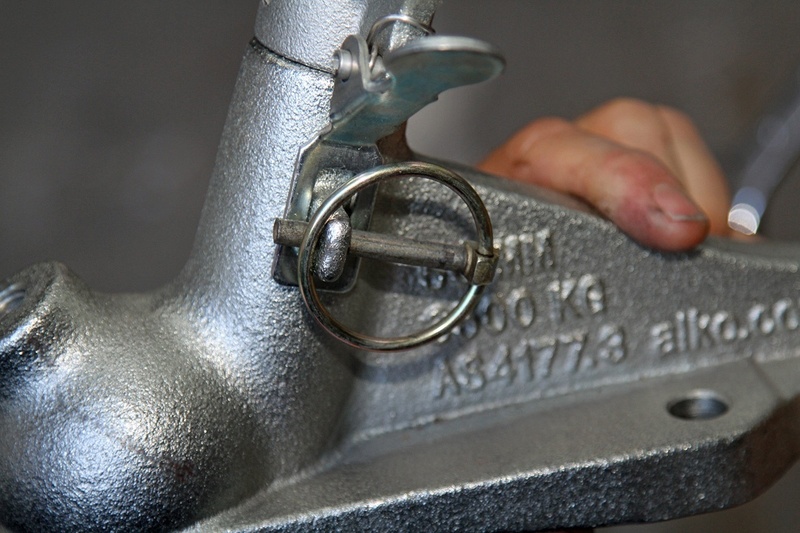 Loosen the lock nut with the ring spanner by turning it anti-clockwise. Using the screwdriver wind in (clockwise) the adjusting screw until it stops while holding the adjusting nut stationary with the spanner. Do not use excessive force. Back off the screw until the point where you are able to lift off the ball coupling (using the jockey wheel) from the ball. While holding the screw stationary re-tighten the lock nut. Check that the coupling will reattach and will lift off the ball. If not repeat the process from Step 1. Once adjusted check occasionally that ball wear has not created the need to readjust. 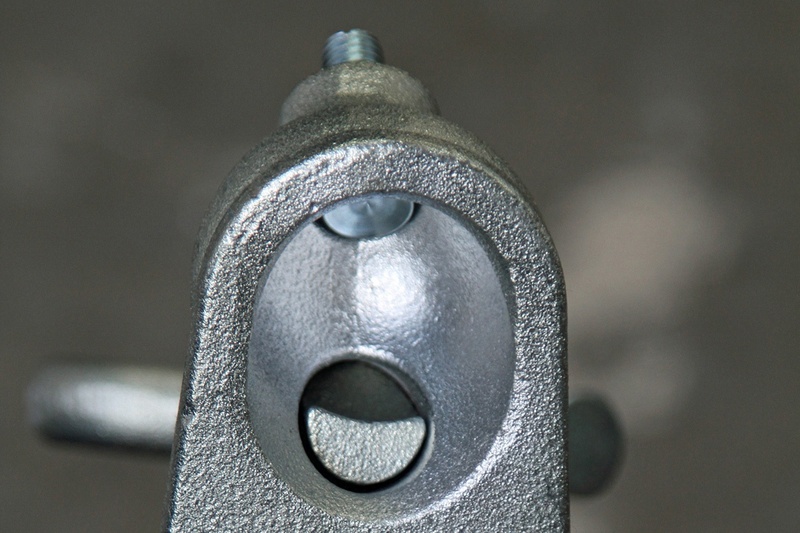 The spring loaded trigger attached to the handle when correctly connected to the tow ball will be positioned over the protruding lug on the coupling. 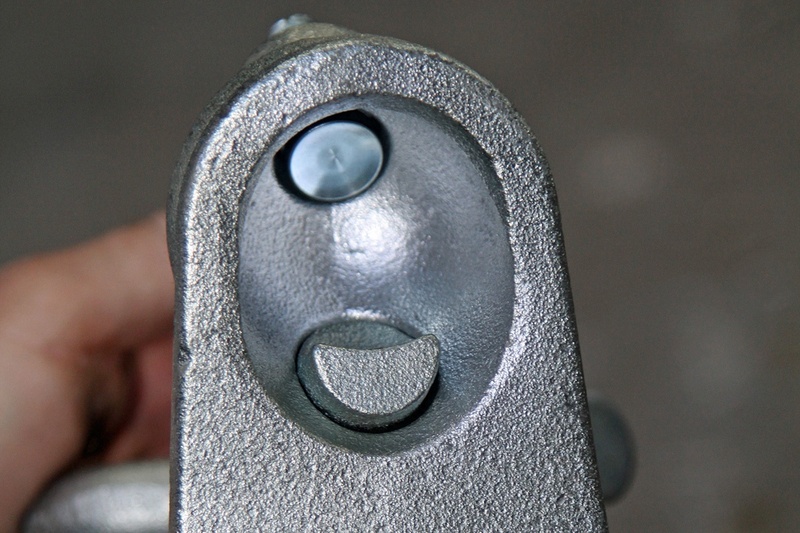 The securing of the coupling to the tow ball is achieved by the coupling tongue and it’s not a bad idea to fit either a ‘ring pin’ or ‘R clip’ which will make sure you have latched the coupling correctly before driving off. When the handle is lowered the tongue locks the coupling to the ball. 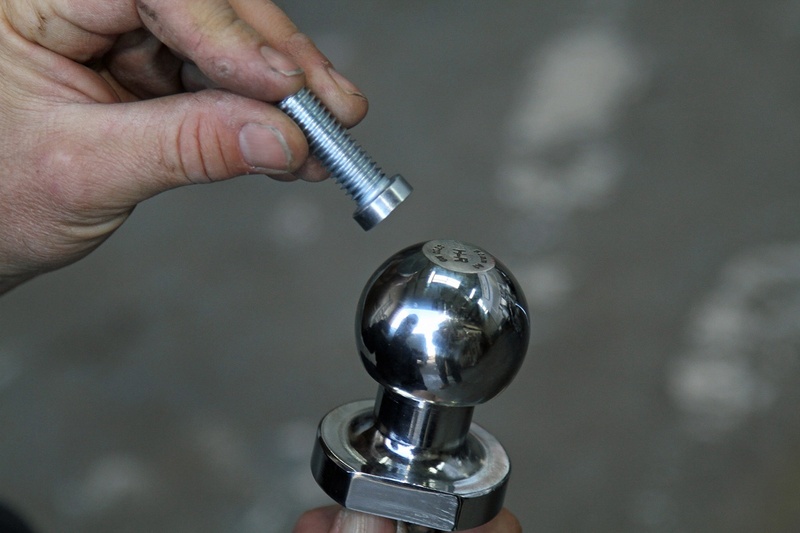 The anti-rattle screw reduces the clearance between the ball and the cavity reducing rattle within the coupling.